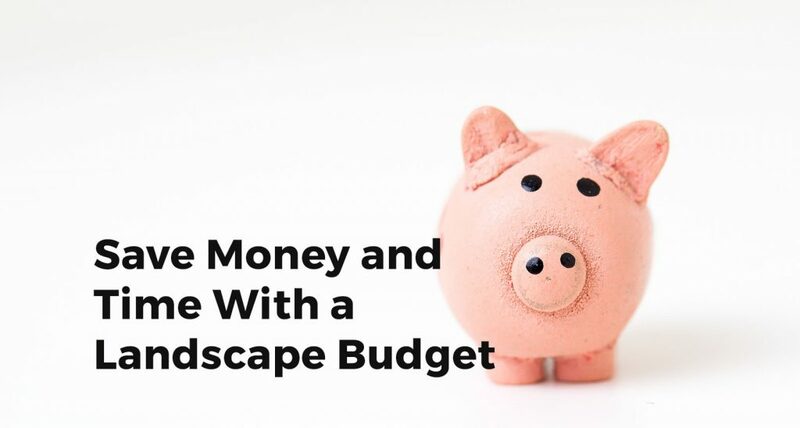 Budgeting for your landscape is an essential step towards your dream garden. Embrace it! Most of my clients are only too delighted to speak about their expectations for their gardens. Their enthusiasm is infectious when they discuss how they’d like to feel in the completed project and what it should look like. However, when it comes to the ‘B’ word…I get crickets!!! People are really uncomfortable when discussing how much they can afford to spend on their garden. Clients seem to have a pre-conception that if they reveal how much money they have to spend, that a designer will spend it all or not attempt to save their client money. As a designer I don’t want to waste your time (or mine) drawing up plans for a beautiful garden that will never be built, because you cannot afford it. Designers get work from happy clients referring us on & social media pictures of gardens we have designed. We WANT to design a garden that is affordable to you. It will helps prevent the designer making changes to concept plans, which can be costly and delay your project. It helps your landscaper to quote on the job easily, without having to re-quote if changes have been made to the plan to allow for financial restrictions. These guys are great and they work really hard for their money. It doesn’t feel good to waste their time. A budget will establish how we can the navigate through problem areas and what materials should be used. It helps keep everyone on the same page. It keeps your designer and landscaper in constant discussion in how to be creative in the design & build, often resulting in more creative solutions. When working out your budget, just start somewhere so it gives designers an understanding and a framework and then adapt and change as you go as you resolve the details. If you are really stuck, a very basic garden, with only soft planting (lawn and small plants) will cost around $100-$150 per square metre. Paving can cost up to $400 per square metre, depending on the paver and pattern you use..so depending on the materials and complexity of design, you could base your budget on an average of $285 per m2 as a basic starting point. This is taking excavation, labour and materials into consideration but not the many variables!!! Remember this: The aim is to get the most out of your space for you for your budget. So be brave!!! go on! just put a figure on it so you are a step closer to your dream garden!! !